Approx. Height 27 ft. 3 in. Enhance your farm or large piece of property with this versatile outbuilding plan. Its unique design allows versatile usability. Whether you need a machine shed, a storage area or large hobby space or workshop, this utility shed plan is sure to please. With a front and side garage door it could also serve as a boat storage garage or tandem bay for two cars with plenty of room to spare. Mechanics might even see this design as a possible workshop. 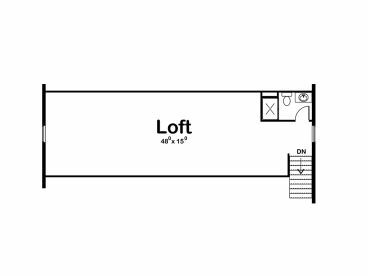 The main level offers 2009 square feet of usable parking or storage space while interior stairs lead the second floor loft. 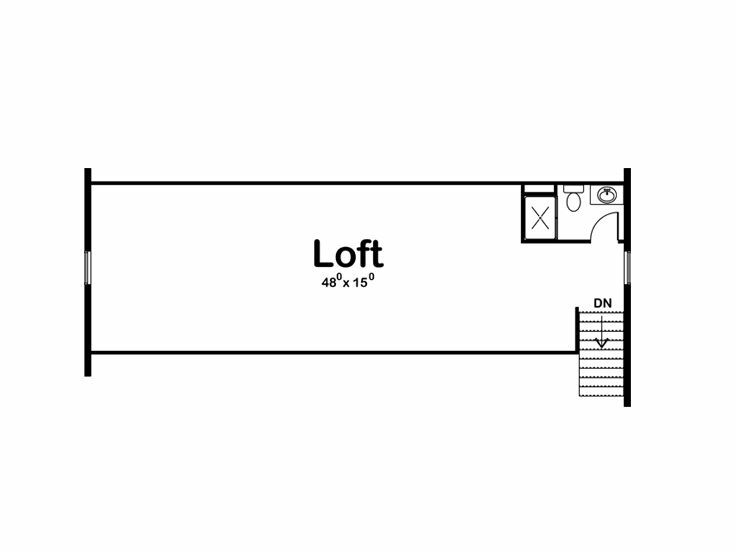 Use this 720 square feet of space for a hobby room, office or something else that will satisfy your specific needs. Don’t miss the full bath! 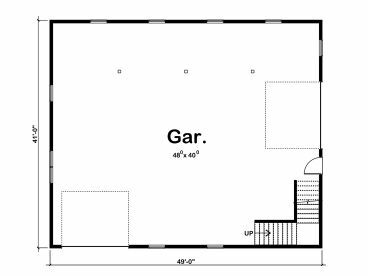 This garage loft plan offers 2x6 wall framing and an 11’ ceiling on the first floor and an 8’ ceiling upstairs. 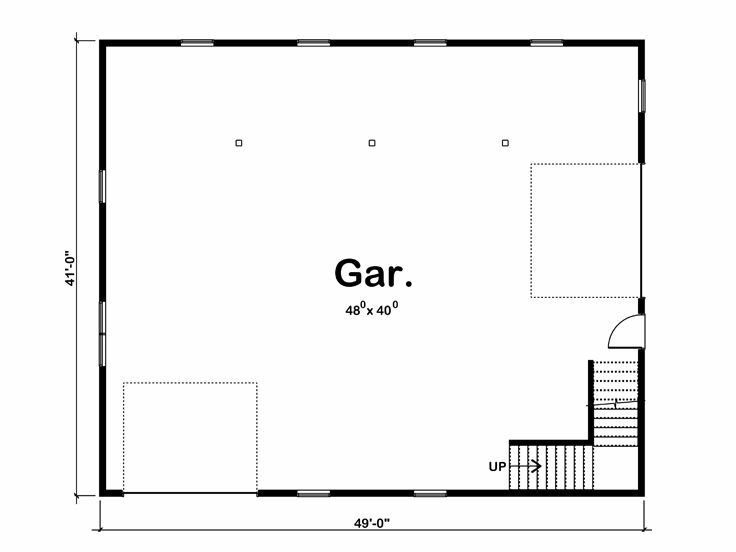 Add value and functionality to your property with this thoughtfully designed outbuilding plan.